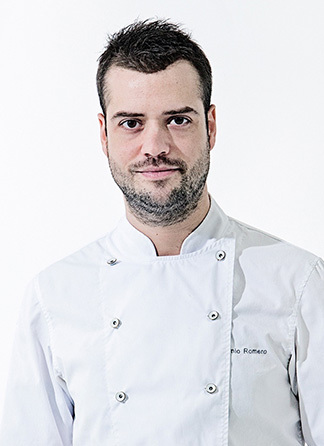 Antonio Romero (31), known as Toni Romero is Suculent’s head chef since its opening. Born in Nules (Castellon), Antonio began studying cooking in 2005 at the Costa Azahar Hotel School, in Grao de Castellon. During the studying period, he participated in different cooking competitions, such as Spain Skills, being ranked 1st in the Valencian Community and 2nd classified in the national final. He also won the Interatun contest and the Truffle dels Ports Maestrats competition. 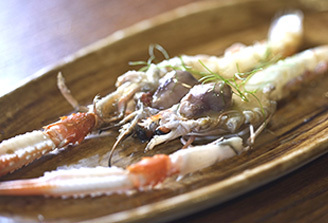 He studied the Higher Degree of Restaurants and Catering business in Lleida, and later wentto practices at elBulli. 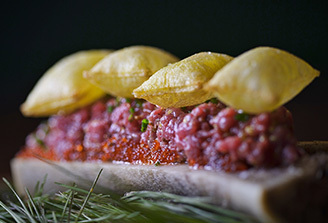 The last month of internship he was added to the main staff of elBulli, as the head of the meat division. 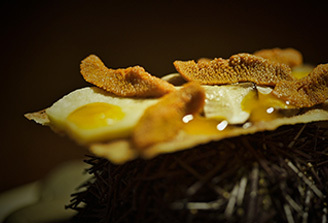 In the closing period of elBulli he worked in R&D at Arzak restaurant, and he held a stage at Akelarre. After finishing the last season in elBulli as station chef, he went to Maison Pic, in Valence (3 *Michelin), as a station chef as well. Later he had the opportunity to make the offer and the opening of Suculent restaurant, in Barcelona, which opened 6 years ago. In Suculent he recovers and reinterprets popular flavors brought to the present in terms of　execution and concept. Characterized by defined and powerful flavors, giving special importance to juices and broths, its cuisine highlights the Mediterranean and Spanish cuisine.